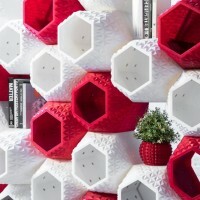 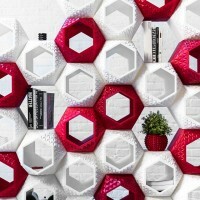 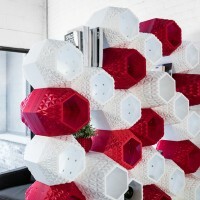 As part of their residency at Bold Machines, Sebastian Misiurek and Arianna Lebed of Simplus Design created SuperMod, a modular wall system that has been 3D printed. 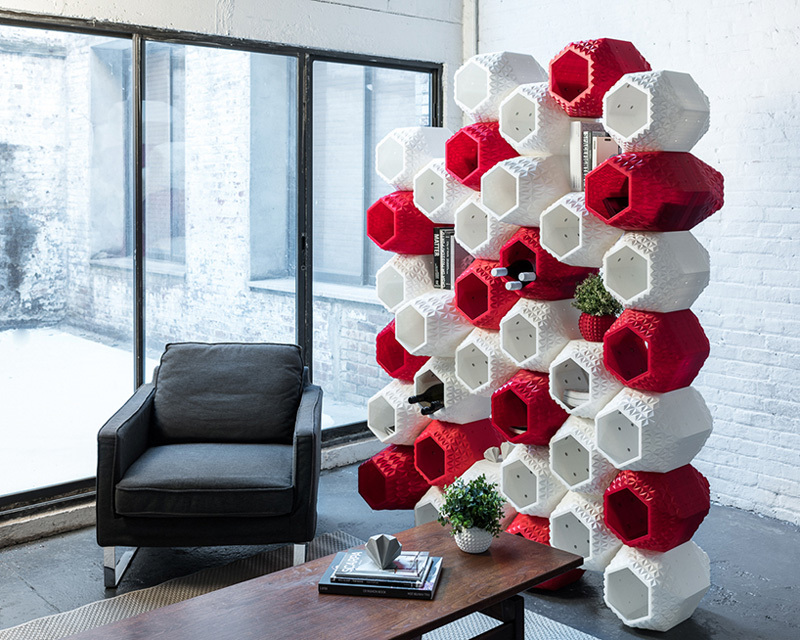 SuperMod is a 3D printed modular wall system which creates a versatile aggregation of storage that is equal parts function and beauty. 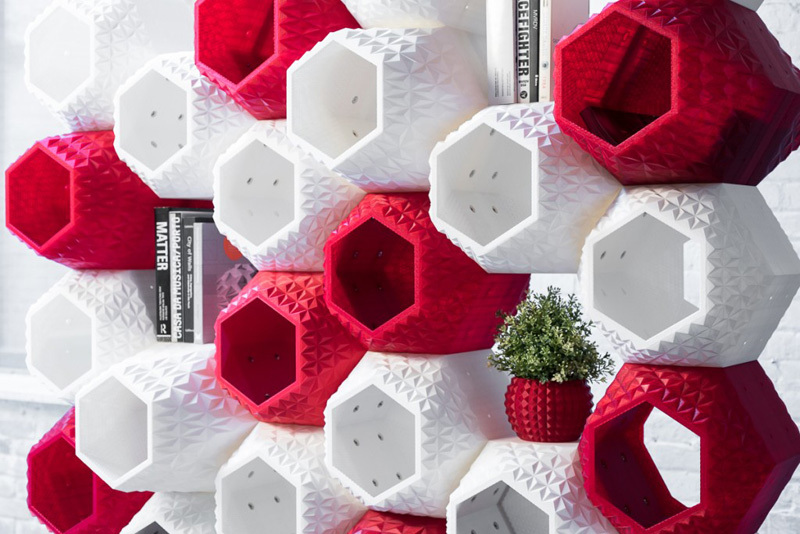 The wall fluctuates between different sized modules to accommodate various types of storage needs, making it an ideal place for your favorite books, plants, spirits and more. 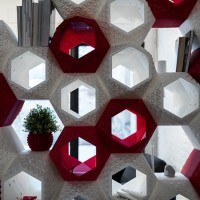 The wall makes an excellent partition, that can divide space or stand on it’s own to enhance it. 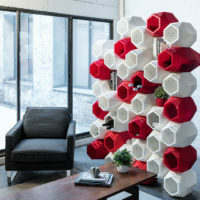 Individual modules can be detached and swapped out to create more or less porosity and achieve different levels of visibility through the piece. 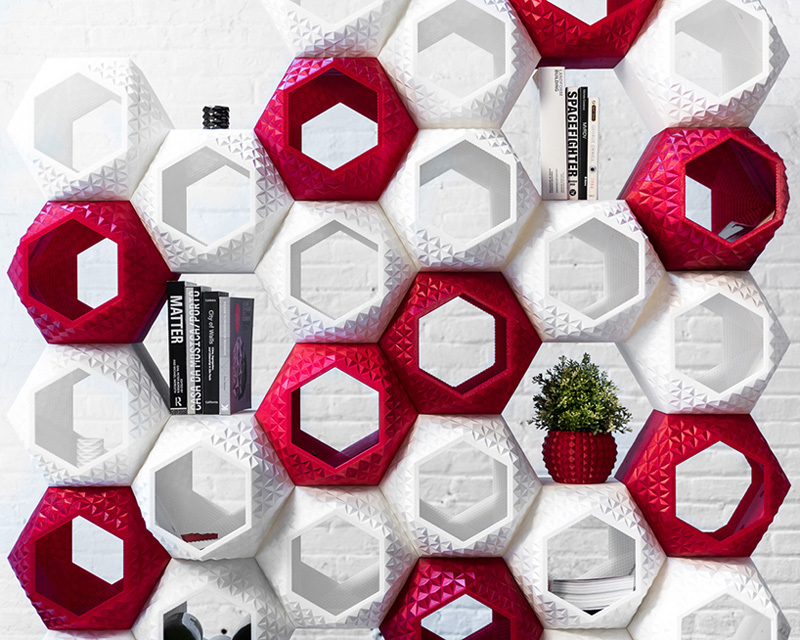 A variation of shadows and reflected light are generated by the faceted pattern on the exterior of the modules, which is then continued more subtly onto the interior surfaces, adding a tactile texture and continuous detail. 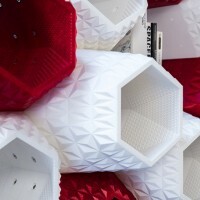 3D Printed materials of opaque white and translucent red plastic allow for light to come through certain modules and produce glowing effects that enhance their surrounding space. 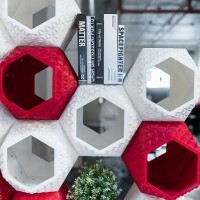 SuperMod was designed and produced by Simplus Design during a residency at Bold Machines, the Innovation Workshop at Stratasys. 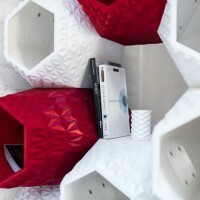 Each module was fabricated on MakerBot Z18 3D Printers and they range in size from 14 to 22 inches. 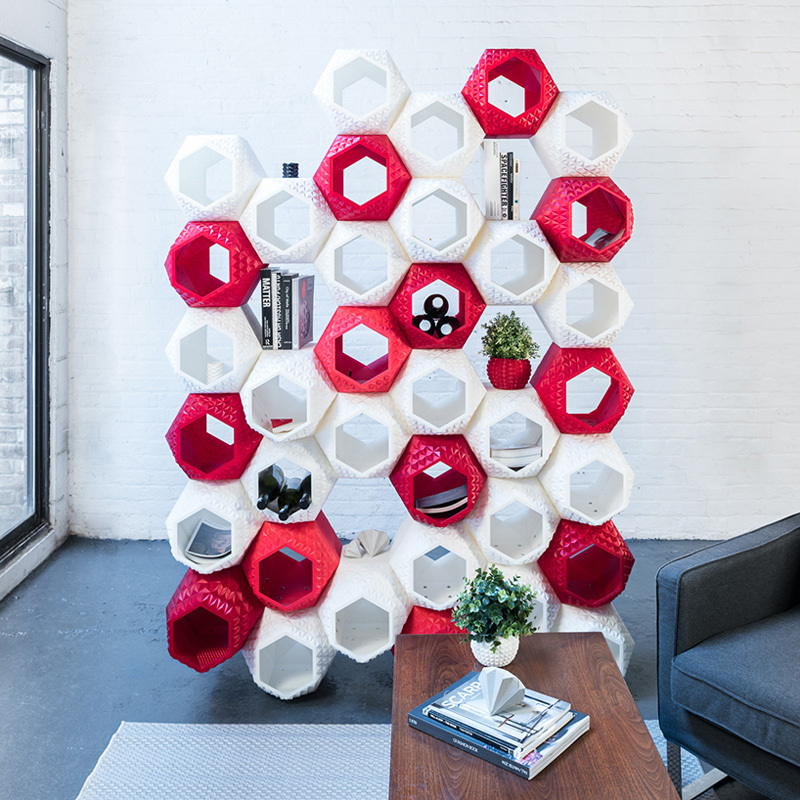 Bold Machines, run by former MakerBot CEO, Bre Pettis, is a Brooklyn-based 3D Printing & Business accelerator working with the next generation of artists, architects, designers and innovators. 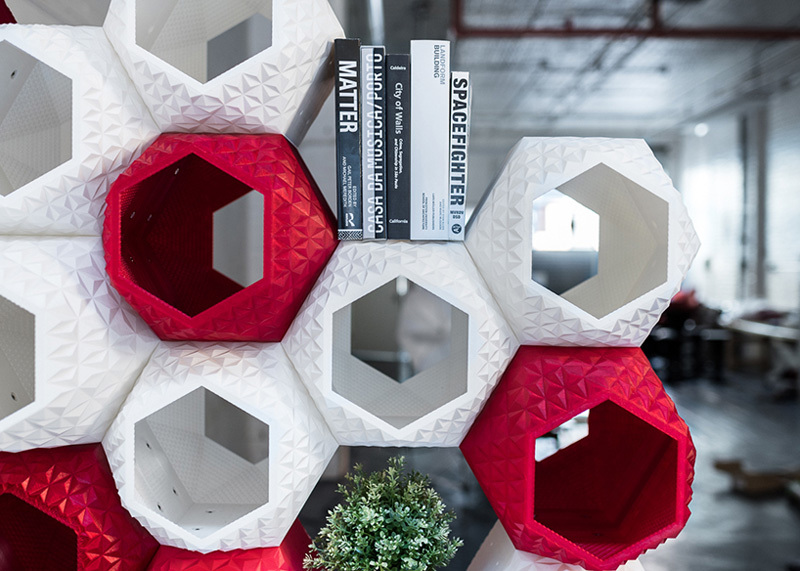 Bold Machines empowers creative explorers and provides a showcase for designs produced on MakerBot, Stratasys and SolidScape 3D Printers.